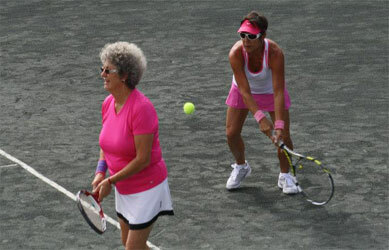 The rescheduled USTA Florida Adult 55 & Over 3.5/4.5 League Section Championships will be hosted at the Florida Tennis Center on June 28-30, 2013, determining which 3.5/4.5 men's and women's teams will represent the USTA Florida Section at USTA League Nationals. The 55 & Over 3.5/4.5 championships come on the heels of the 55 & Over 3.0/4.0 championships last weekend when teams from Collier (Naples), Duval (Jacksonville), Marion (Ocala), and Pinellas (Safety Harbor) counties won the right to represent the USTA Florida Section at USTA League Nationals. The championships were originally scheduled for the first week in May but were postponed due to rain. Gone in 2013 are the USTA League monikers "Senior" (50 & over) and "Super Senior" (60 & over), replaced instead by 55 & Over and 65 & Over divisions, the result of USTA League research and focus group results. The results predicted a significant increase in the coming years in league participation, with changes designed to better align age groups with current and future league populations. Teams will compete this weekend in the NTRP (National Tennis Ratings Program) combined-team divisions of 7.0 (two 3.5-rated or below individuals) and 9.0 (two 4.5 or below individuals). The 7.0 and 9.0 division team winners from Florida will advance to the 2013 USTA League Adult 55 & Over 7.0 & 9.0 National Championships on April 25-27, 2014, at the Surprise Tennis & Racquet Complex in Surprise, Ariz.
For additional event information go to www.florida.usta.com/usta_adult_senior_leagues/2013_adult_55__over_league_section_championship.